Originally a mental hospital with an 'open' character, Noorder Sanatorium now houses an institute for clinical pharmacology. 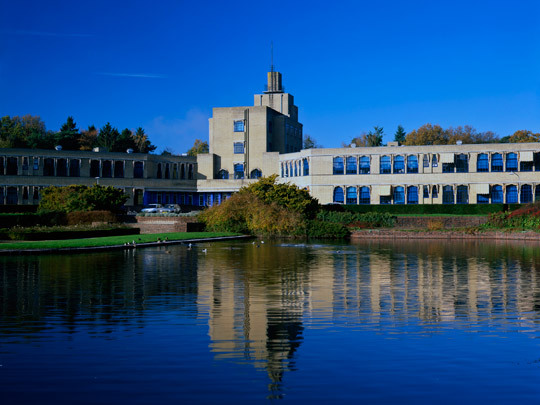 In a parklike landscape design including an ornamental lake stands a tall central volume of offices, consulting rooms and examination rooms with four wings for the patients fanning out from it. The yellow brick building has blue steel frames and piers with ultramarine tiling. The grounds also contain the medical superintendent's house which exploits the same Cubist formal vocabulary, one allied to Dudok.